1. Replace the batteries in your smoke and carbon monoxide detectors. This should be done every 6 months. 2. Install a new furnace filter and consider having your air conditioning system inspected/serviced by a professional. Not sure how to replace your furnace filter, watch this video tutorial. 3. Make sure your BBQ is the best on the block by giving your grill a cleaning, here’s how. 4. 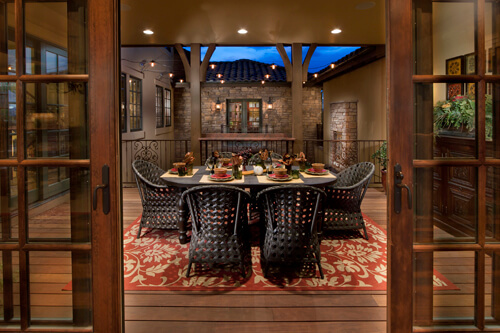 Refresh your outdoor living space by sweeping all of the hard surfaces and cleaning your outdoor furniture. 5. Have your windows professionally cleaned. 6. Spruce up your garden by deadheading both annuals and perennials. Pradera offers new luxury homes in a serene Douglas County golf course community. Priced from the $900’s, homes at Pradera are situated on large homesites (many 1-acre+) and enjoy an abundance of community amenities including parks, trails, open space, a community pool and clubhouse, and the private Club at Pradera golf course. Click here to view our currently available homes or call 720.851.9411 for more information.